Formula One’s strategy group has rejected moves by the sport’s governing body to introduce the so-called ‘halo’ head protection device in 2017. 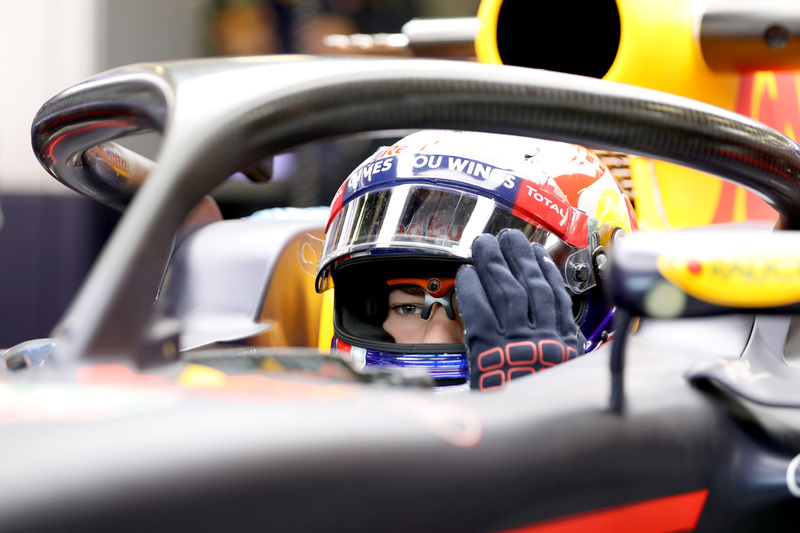 Strategy group representatives met in Geneva on Thursday and decided to delay the halo’s introduction until 2018 to allow it to be more rigorously tested and for potential alternative solutions, such as Red Bull Racing’s preferred aeroscreen concept, to be fully trialled. “It was decided that owing to the relatively short time frame until the commencement of the 2017 Formula One season it would be prudent to use the remainder of this year and early next year to further evaluate the full potential of all options before final confirmation,” an FIA statement read. “While the halo is currently the preferred option as it provides the broadest solution to date, the consensus among the strategy group was that another year of development could result in an even more complete solution. F1 CEO Bernie Ecclestone, who has long opposed the halo, spoke to the BBC after the meeting. The Fédération Internationale de l’Automobile (FIA), led by president Jean Todt, hoped to find consensus amongst members of the contentious rule-making body to introduce the device. Todt holds six strategy group votes on behalf of the FIA, while Ecclestone holds a further six for the commercial rights holder and six selected teams, comprising Ferrari, McLaren, Williams, Mercedes, Red Bull Racing, and Force India, hold one apiece. Unanimity is required to change regulations of a subsequent season, meaning one dissenting vote would have been enough to scupper Todt’s plans for the regulation change to receive smooth passage through the rule-making hierarchy. Though the FIA would still able to force through a regulation change on safety grounds, it would be a departure from the Todt’s diplomatic and consensus-driven approach to dealing the fractured sport. The call for increased cockpit protection received renewed energy after Jules Bianchi’s horrific crash at the 2014 Japanese Grand Prix, from which the Frenchman sustained the diffuse axonal injury that claimed his life in July last year. Though the forces involved in the accident would have rendered any sort of additional head protection redundant, the ripples it sent through the Formula One community after 21 years without a racing fatality culminated in the governing body resolving to implement a system by as soon as possible. The halo, an evolution of the FIA’s early concept forward-facing roll hoop, is a three-point metal scaffold attached to the car on both sides and directly in front of the driver’s head. Many drivers were initially sceptical of the device, but a presentation by the FIA at the Hungarian Grand Prix did much to sway the majority into a favourable position. Sebastian Vettel, when asked his opinion in Thursday’s drivers press conference before the vote, was scathing of those who still opposed the halo’s introduction. “We don’t like the looks of it, but I don’t think there’s anything really that justifies death,” he said. “I think we’ve always learned from what happened, incidences that happened on track, and we’ve always tried to improve. The German reiterated that he believes it should be up to the drivers to make the call, despite no body of grand prix drivers having a formal vote on regulations. “I think it’s up to us to make sure it does happen, otherwise I think we’d be quite stupid,” he said. Nico Hülkenberg, who sat alongside Vettel in the press conference, said he believed the sport was safe enough without additional protections. “Obviously the aesthetics are not so good — it doesn’t look very attractive,” said the Force India driver. “But as it is I think F1 is already pretty safe. The strategy group also agreed to roll back bans on pit-to-car radio communication in races after controversial penalties were handed down in the previous two grands prix over radio infringements.